Over the past few weeks, foodies have had a bunch to celebrate or mourn. On the one hand, Thanksgiving brought families and friends together for ginormous feasts. On the other hand, word spread that Hostess would cease operations, sending people into frenzies and into buy-all-Hostess-products-in-store-for-long-term-storage mode. In the panda cave of self-torture, things were usually the same. But at least I also managed a small getaway to spend a few days with the family. 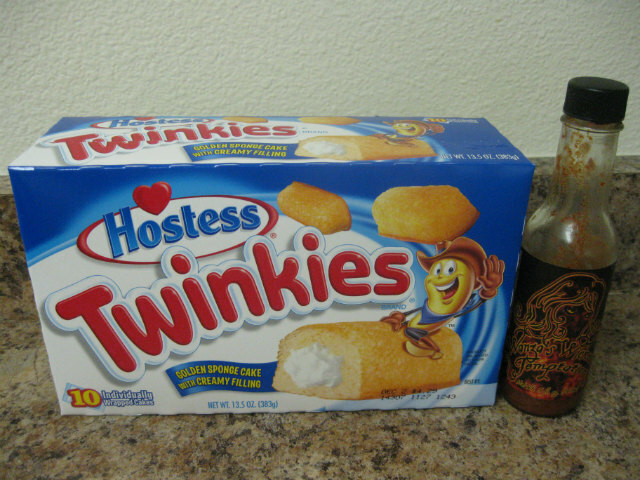 Regarding the Hostess situation, I actually planned to release my 10 Spicy Twinkies video later in December. But why not ride the publicity wave and get the video out when such topics are trending everywhere? While I certainly felt the aftereffects of the extract, it paled in comparison to another "sweet" stunt I did that will be released later in December. Another spicochist review focused on Thin & Crispy Habanero potato chips. It tasted more BBQ-flavored than habanero-laced. But Mrs. Renfro's ghost pepper salsa came to the rescue, and that combo would be spicochist worthy for a football game. The chocolate and ghost pepper ice cream from The Last Word food cart had been in my fridge for a while, and I finally got around to polishing that off. In 90 seconds. With more heat added on top. Panda logic strikes again. Finally, I re-uploaded my Spicy Durian Pudding video from many months ago, just to ensure that I didn't run into any copyrighted music issues. This time, I did a voiceover for the spicochist classic. I'll be back later in the month for more videos. Naader Reda posted his latest installment of Spice Wars a little while back, and I have a spicochistic video response planned. My subscriber count has steadily increased over the last few months. Thank you for all your support! I've also realized that increased "dislikes" come along with the additional subscriber count. Haters gonna hate. I'd rather have all that "love" than no recognition at all, anyway. Won't stop me from doing what I want to do.